Dr Colm O’Connor, a clinical psychologist and couples therapist, has for over twenty years explored the emotional lives of couples and researched hundreds of cases of couples in distress. Looking beneath the surface of everyday complaints, The Courage to Love reveals those insights and shows how we seek solutions to life’s most essential questions in close relationships. In answering these kinds of questions, Dr O’Connor shows what is ultimately at stake for people in winning an argument, starting a fight, proving a point, triumphing in divorce, or abusing a lover, and presents a range of solutions that are not about how to control relationships but how to inhabit them. 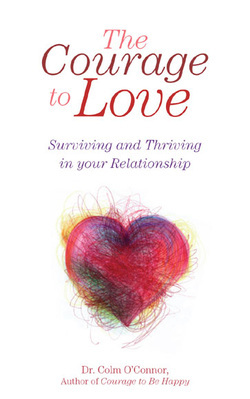 Painting a dramatic portrait of love as a heroic response to human vulnerability, The Courage to Love shines new light on how relationship breakdown happens and provides a guide for getting back on track.